If you’re new to the sport of mountain biking, it can at first seem a little intimidating. Expensive gear, so many different terrains, a dictionary of terminology to wrap your head around… With these mountain biking experiences, you can forget about all that and just start pedaling! 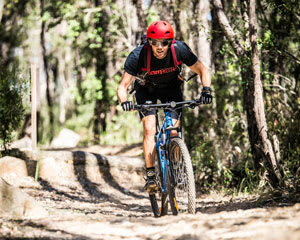 With a Blue Mountains bike hire or a Barrington Tops mountain bike hire, you’ll be equipped with the latest mountain biking technology and get to conquer the very best mountain biking trails! 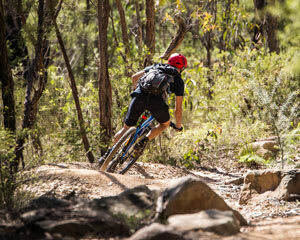 A Hanging Rock mountain bike journey begins with a train ride to the famous trail. If you’re up for it, you can always cycle there yourself—it’s a 15km trip. 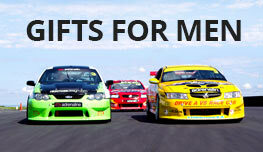 At your destination, you’ll appreciate scenic valley views and the incredible Baltzers lookout. This steep lookout doesn’t have a safety fence, which makes staring out beyond the horizon all the more exhilarating. Narrowneck Plateau offers equally enticing scenery. This “out and back” route includes Echo Point and the Three Sisters. Appreciate the steep descents on your return trip! 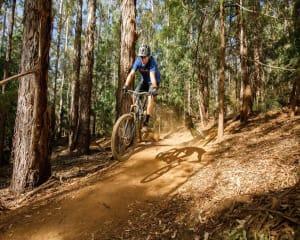 And if you’re looking for a smooth journey that’s at the same time adrenaline-inducing, you’ll find just what you need at the Oaks Fire Trail: winding paths, views as far as Sydney CBD and a lightning-fast downhill run. 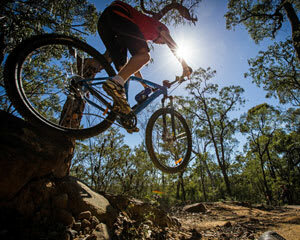 In Gloucester, Barrington Tops is a grade-A destination for mountain bikers. Here, you can experience a full-day tour that covers not one, but several different mountain bike trails! Descend 1,000m while surrounded by stunning natural wildlife. Here, top-of-the-line bikes feature duel suspension to reduce rider fatigue and help you sharply navigate between trees like a pro! Of the many need-to-knows in mountain biking, the most essential is understanding how to read the trail. This means always keeping an eye out for what’s ahead 10 or even 20 feet. And while we don’t know which path you’ll choose, determining what’s ahead on your mountain biking experience is easy—a great workout, stunning scenery, fantastic terrain and an endless supply of big thrills! 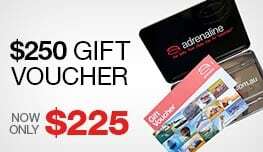 Book your journey today!